White marbleized glass bell shades with rich oiled bronze finish. 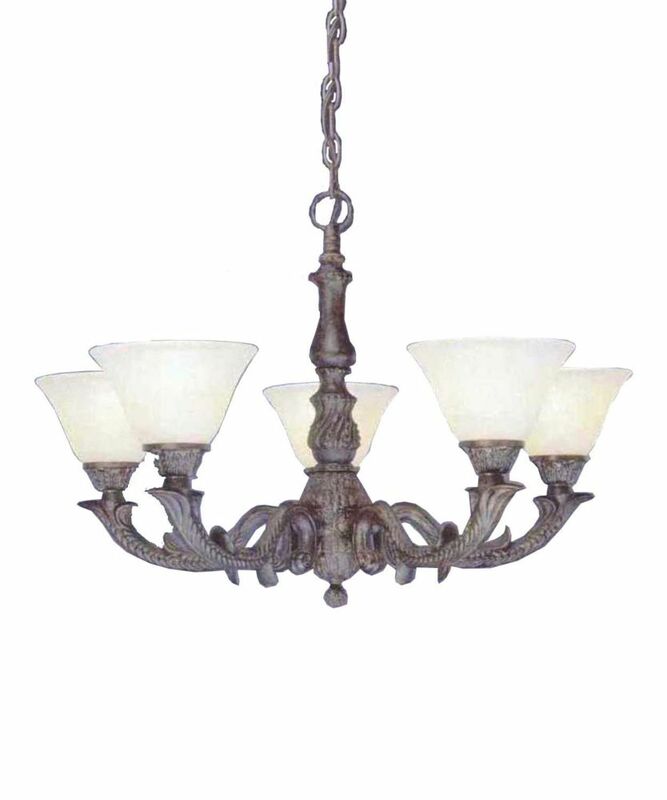 Chandelier includes matching hardware, installation instructions, and 8 foot chain for height adjustments. Fixture attaches to matching decorative ceiling plate and is suitable for vaulted ceilings. Add a stunning and unique style to your home lighting with the ESTELLA pendant. Finished in a contemporary gold, this 7-light chandelier features an atomic design with seven bulbs to fill your home with warm light.The beautiful double glass points in every direction illuminating your space. This piece is quick to put together and installation is a breeze. This is an excellent choice for entry ways, foyers, stairways, dining and living rooms as well as bedrooms. Available in store and online! The cornerstone of the burton Collection is quality, and this chandelier is no exception. Combining a classic antique bronze finish and posh styling, you will find no better way to highlight the charm of your home. With the superb craftsmanship and affordable price this fixture is sure to tastefully indulge your extravagant side. Concord 5-Light Ceiling Bronze Chandelier with an Amber Glass The cornerstone of the concord Collection is quality, and this chandelier is no exception. Combining a classic bronze finish and posh styling, you will find no better way to highlight the charm of your home. With the superb craftsmanship and affordable price this fixture is sure to tastefully indulge your extravagant side.